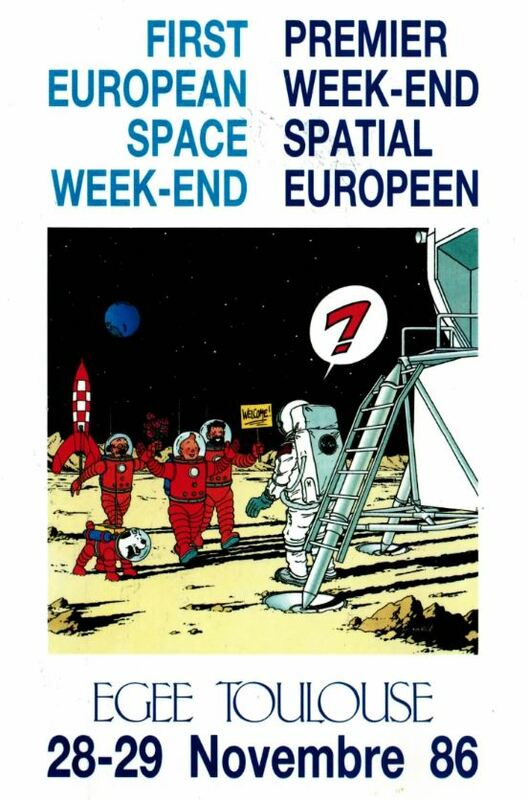 As a young researcher interested in how the world works, I have always been surprised by the limited amount of science-related events we have in AEGEE. While it is true that our members are mostly studying social sciences and languages, this should not keep them from being curious. Science can be a great fun, specially when dealt with in a non-formal way! We have a big deal of members studying almost all scientific disciplines, with the knowledge and a passion for sharing. At the beginning of AEGEE, our association was famous for the thematic conferences we used to organise. Some of them were very scientific, like the ones about aeronautics and space. And they were a great success, and brought a lot of impact for AEGEE in terms of visibility in Europe, PR and contacts. But somehow this tradition faded several years ago. Why is science relevant to AEGEE, you may wonder? How can we contribute in the field? There are plenty of examples to mention. For example, this year we became partners of the Right to Research Coalition, and we were present at their very first General Assembly (GA) which took place in Budapest. This GA was a great opportunity to discuss a very important issue which limits the students not only in Europe, but all over the world. This is the barrier to access essential research results. Why are these results so important and why is it a problem that we cannot reach them? The answer is quite simple: as students, nowadays we need to learn not only the history of our field, but also be updated to the most recent achievements of the researchers and experts, to be able to build on their findings and make steps further in these fields. The big issue here is that we as students cannot afford the fees to access those data, even though the researches were paid in many cases by the citizens’ taxes. Why that? Because publishers define such a high price for the academic journals that even several universities had to cancel their subscriptions lately. The Right to Research Coalition is advocating for policies, educating stakeholders and mainly researchers and scholars about the possibility of Open Access publication of results which is free, not restricted but still peer-reviewed, which guarantees the trustworthiness of the results. We have also recently received a request to sign and spread the petition No cuts on research launched by Initiative Science Europe. Click on the image to sign the petition online! Education and Erasmus mobility are not the only future-oriented budget areas that are under threat of severe cuts in the new EU budget. Science is also on the target, and the most relevant scientists of our continent, including 44 Nobel laureates, have joined forces to prevent these cuts that jeopardize the future of Europe. But they need also the support of society to gather as many people as possible to convince the heads of state that will take this decision. The EU budget proposed by the European Council was sent back by the European Parliament; therefore there is still time to fight the cuts that will have a bigger impact in the future (Science and Education). So please sign the petition and share it among your friends in your universities! The story does not end there. Recently the EU has acknowledged the big gap between science and society and is taking measures to close it. The last one, launched by Máire Geoghegan-Quinn, Commissioner for Research, Innovation and Science, consists in a series of surveys launched in collaboration with Atomium Culture (an intersectoral platform to promote knowledge sharing and “out of the box” thinking on issues regarding the development of a European knowledge society) and five big European Newspapers, to consult citizens about science-related topics, in order to direct the demands of society when planning investments in science for the next Multiannual Financial Framework. The first round of questions has already been launched in newspapers such as El País (in Spanish), The Irish Times (in English), Frankfurter Allgemeine and Der Standar (in German) and 24 Ore (in Italian). Go to the website and fill it in, this week it questions how Science is taught in our schools. But… will there be people interested in the topic in AEGEE? I believe AEGEE can benefit a lot in getting back in the field of science and technology. And I am not the only one: during a recent training in Ljubljana, one of the participants mentioned how shocking it was for her to see the lack of science content at our events. She mentioned that maybe a Science and Technology Working Group (STWG) could be created, in charge of spreading relevant information to AEGEEans in an understandable way. I presented the idea in my candidature for Projects Director in Agora Rhein Neckar and also recieved positive feedback. We have some of the best research centers in the world based in Europe. We have several great researchers among AEGEE members. The Science & Technology Working Group (STWG) can give them the opportunity to contribute to AEGEE thematic work. It can be a forum to discuss the news in technology, to explore how to make science understandable to general public, to claim for better research in Europe as a way to have a stronger Europe in the future. I will continue working on the topic, and hope that the ones with an interest in science and technology will contact me so that we can make it happen together. There is even time enough to prepare everything and create the STWG in Agora Zaragoza in October.